The original concept of camera dates from Grecian times, when Aristotle referred to the principle of the camera obscura (Latin=dark chamber) known also as pinhole camera. The first diagram of a camera obscura appeared in a manuscript by Leonardo da Vinci in 1519. In 16th century brightness and clarity of camera obscuras were improved by enlarging the hole and inserting lens. In 1800 Thomas Wedgwood makes "sun pictures" by placing opaque objects on leather treated with silver nitrate; resulting images (shadows) deteriorated rapidly, however, if displayed under light stronger than from candles. In 1814 Joseph Nicéphore Niépce achieved first photographic image with a camera obscura - however, the image required eight hours of light exposure and later faded. In 1837 Louis Jacques Mandé Daguerre uses his daguerreotype method (called after his name) - the first image that was fixed and did not fade and needed under thirty minutes of light exposure but could not be reproduced. In 1841 William Henry Talbot patented the Calotype process - the first negative-positive process making possible the first multiple copies, but suffered from the fact that any print would also show the imperfections of the paper. In 1851 Frederick Scott Archer invented the Collodion process - glass plates coated with collodion (guncotton dissolved in ether and alcohol) . The glass had the effect of greatly increasing the speed of the plates enabling shorter exposure times - images required only two or three seconds of light exposure and it was also possible to reproduce quality pictures. But the disadvantage was the awkward handling of the wet plates by the photographer. In 1859 the panoramic camera is patented by Thomas Sutton - the Sutton. In 1880 George Eastman (1854 - 1932) perfected a process for making gelatin dry plates (invented in 1971 by Richard Maddox) for photography that were manufactured by The Eastman Dry Plate and Film Company. Before that, photographers had to coat a plate with wet chemical each time they wanted to take a picture (the Collodion process) - a very discouraging process. The increased speed and sensitivity to light of the dryplates freed the camera from the tripod and paved the way for the handheld camera - instant photography at low cost - of this the most popular was the Kodak handheld camera. George Eastman founded the Eastman Kodak Co. (1881) and invented the roll paper film (1885) and celluloid film in 1889 which brought photography to everybody. The roll film was also the basis for the invention of the motion picture film, used by early filmmakers Thomas Edison, the Lumiere Brothers, and Georges Méliès. 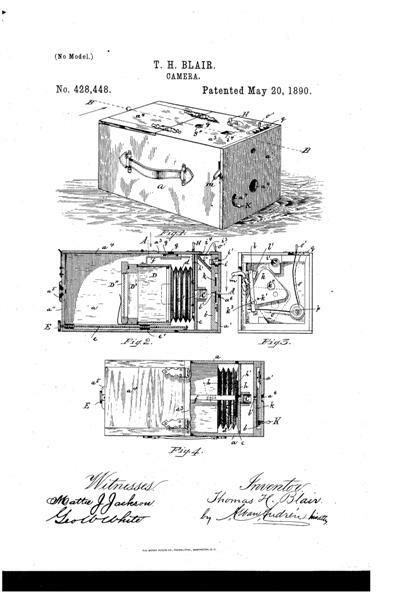 On September 4, 1888 Eastman registered the trademark Kodak, and received a patent (388850) for his hand-held box camera which used roll film containing a 100 exposure of roll of paper stripping film and the entire camera was sent back to the manufacturer for developing, printing, and reloading with a new film. He coined the phrase "You Press The Button and We Do The Rest." Upon Eastman’s death, his entire residuary estate went to the University of Rochester. His former home at 900 East Avenue in Rochester, New York, was opened as the International Museum of Photography at the George Eastman House in 1947. On the 100th anniversary of his birth in 1954, Eastman was honored with a postage stamp from the United States Post Office. In 1936 was developed Kodachrome by Eastman Kodak, the first color multi-layered color film. In 1936 was developed in Germany the Kine Exakta, a pioneering 35mm single-lens reflex (SLR) camera. In 1963 Polaroid introduces instant color film. In 1980 Sony demonstrates first consumer camcorder. In 1990 Eastman Kodak announces Photo CD as a digital image storage medium. Many contributed to the development of the camera and photography, during the years, in the fields of chemistry, optics and mechanics but we dedicated this page to George Eastman since we think his inventions of dry rolled film and the hand-held camera that could utilize it revolutionized photography in a manner not seen before. During the 1880s a revolution in photography took place (see above): increase in the speed of the new dry plates that shortened the required exposure times, smaller negative formats and new lenses with shorter focal lengths enabled the invention of miniaturized handheld cameras without the need of tripods and with the ability to take fast snapshots of rapidly moving objects. A little terminology: The term “hand cameras” or “handheld cameras” denotes all types and sizes of cameras which were fitted with mechanical shutters, dry plates or film, and which could be used off the tripod enabling instantaneous photography. But other terms were used synonymously, including “pocket cameras,” “detective cameras,” and so on. Although each of these terms had specific connotations, 19th century writers often mixed the terms and as a matter of fact, sometimes cameras referred as "detective" were quite big since the public was used, till then, to large tripod mounted cameras. Today, sometimes, the term “detective camera” is used for “spy camera”. Strictly speaking, detective cameras were popular Victorian cameras before the turn of the 19th century that were designed to look something other than a camera. Most were box cameras designed to look like parcels, disguised as watches, binoculars, books, purses, walking sticks, revolvers and rifles, alarm clocks, spyglasses, and so on. Some models were designed to be worn underneath a vest with lens peaking out through a buttonhole and the shutter operated by a long cord. These cameras were popular all over Europe, especially in England, France and Germany. Most are rare and valuable today. As its name implies, Detective cameras were for taking surreptitious pictures and at the beginning the “detective” camera was used by the police and prison authorities. The idea was immediately adopted by the public who used detective cameras for surreptitious snapshots of strangers. This is part of a general trend of the time: the late Victorians loved similar gadgets, and the craze included music boxes that looked like books and boats that looked like giant swans, etc. A few detective cameras were patented during the 1880s. The earliest detective camera was a twin-lens reflex camera designed for police use by the British inventor Thomas Bolas who also coined the term in 1881 (GB provisional patent No. 4823). The Schmid detective camera from 1883 (patent No. 270133) was the first hand-held camera manufactured for sale. This camera employed a newly introduced rapid dry plate film which was fast enough that a tripod was not required in bright daylight. In 1886 a detective camera was patented by George Eastman and F. M. Cossitt (patent No. 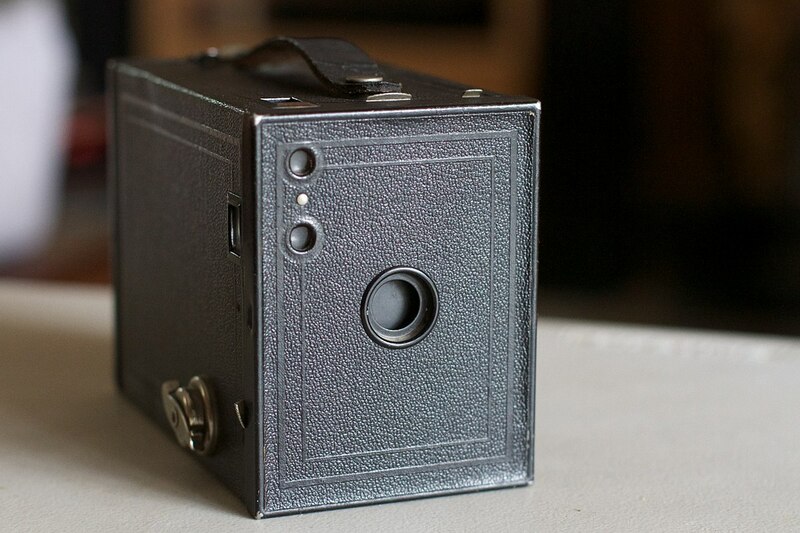 353545) which failed in the market but was a precursor of the famous Kodak handheld camera from 1888. Some of the concepts in the detective camera design were used later in 1888. In 1890 Thomas H. Blair patented the Hawk-Eye Detective Camera (patent No. 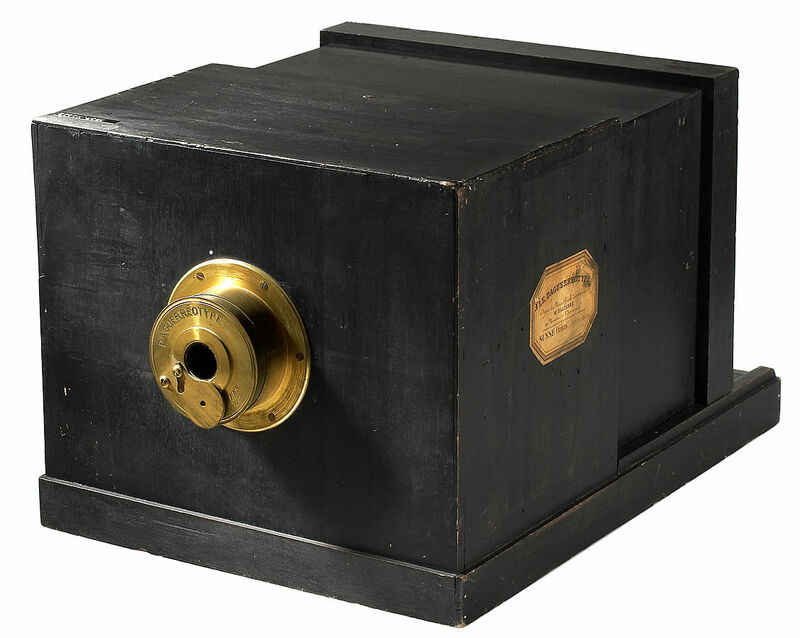 428448) which was a large wood box camera that took 4 x 5 inch photographs on dry glass plates. Try to reconstruct a real Victorian detective camera according to the patents mentioned above (patent No. 270133, 353545, 428448), available internet resources, books, libraries, museums and old cameras. The advantage and benefit of this option is that you are going to be introduced to the exciting world of patents and experience the path to important discovery. Take in account that this challenge will require some extra mechanical skills and a lot of patience. For more web resources, google "build spy camera" and "build hidden camera" and you'll get plenty of useful links. The following list of links is divided into three sections: basic photography projects, advanced photography projects and history of camera and photography.